Minecraft players rejoice! Horses will finally make your travels around the world easier! One of the oddest omissions in the world of Minecraft since its inception has been the lack of horses. Late last week the the new test build of Minecraft 1.6 was released, and with it comes the addition of horses that you can ride, and donkeys that can carry supplies for you. Huzzah! The new mob type will be able to "jump" one block, so this means you'll be able to ride up hills as well as crossing flat land. Speed and endurance will vary by horse type, and you'll need to feed them carros or the newly added bales of hay to keep their health up. You'll also be able to craft saddles for them and breed them like you can sheep, pigs and chickens. An intriguing addition is the new leashes. You will be able to attach these to various mob types and then either walk them around or attach them to fences so you can keep them in place. This could lead to some potentially interesting defenses if you can do it to skeletons or spiders. In the way of new decorations, there will at least be the addition of carpets. It sounds like they will only be two tone in color, so you won't be getting anything fancy, but at least it will ease the process of making your own carpets at long last. According to the MinecraftWiki changelog, there is also a new hitch in the game that the longer you stay in an area, the more difficult it will become to survive with mobs increasing. This will make choosing the right place for your homestead that much more important. No word yet when this update will be the released to the general game. 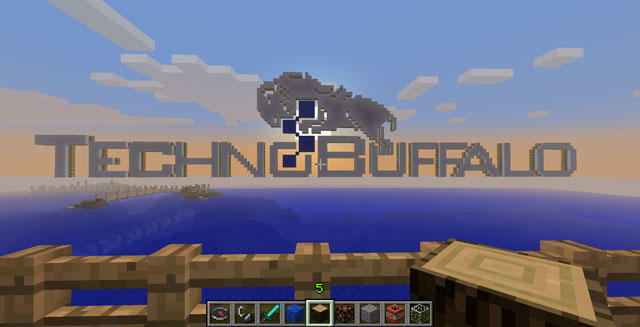 Don't forget to check out the TechnoBuffalo Minecraft server at minecraft.technobuffalo.com!